Honored as a Four-Star Hotel by Forbes Travel, The Wort Hotel is the latest installment to the luxury travel ratings that have been the gold standard in the hospitality industry since 1958. ATLANTA — (January 22, 2014) — Forbes Travel Guide today unveiled its official 2014 Forbes Travel Guide Star Rating list, naming The Wort Hotel as a new Forbes Travel Guide Four-Star Hotel. 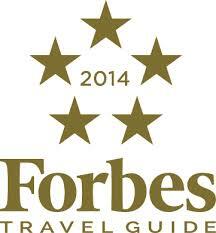 The Wort Hotel will be showcased with all of the 2014 Star Rating recipients on ForbesTravelGuide.com. The Wort Hotel is the latest installment to the luxury travel ratings that have been the gold standard in the hospitality industry since 1958. With 59 rooms and a staff committed to the highest standards of gracious hospitality The Wort is able to personalize each visit with its unique brand of western hospitality. Wort Hotel General Manager Jim Waldrop adds, “This is truly a tremendous accomplishment for our staff, they are a committed group of professionals. When we set goals for this group, like this designation, they focus, they train and they are tirelessly committed to reaching them-I am very proud for them today.” Waldrop added, “This would not have happened without the commitment of our owner Bill Baxter, we truly are grateful for his confidence in this great hotel and each of us, a big thank you to Bill and the Baxter Family.” The Baxter’s are only the fourth owners of the hotel since it opened its doors in 1941 and they purchased the hotel in 2003.